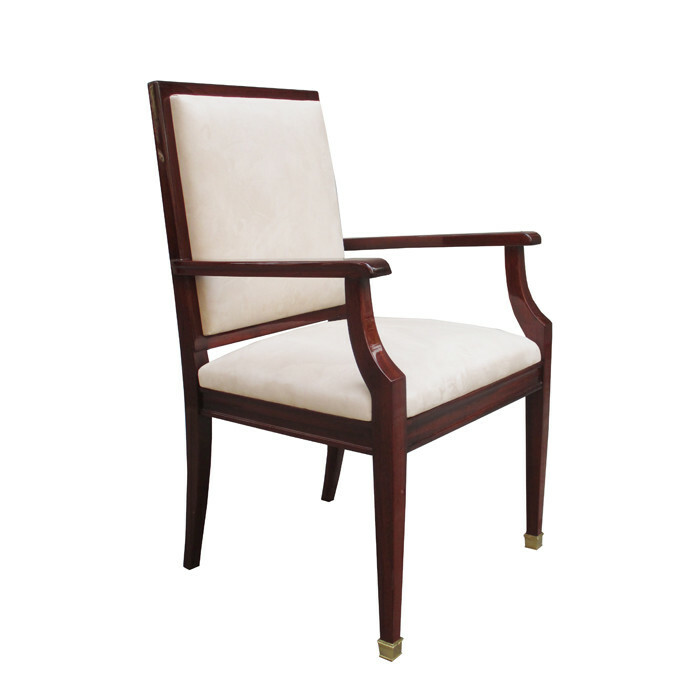 A De Coene Frères designed Art Deco armchair. Mahogany with patinated bronze sabots. Dimensions: H:40½ W:25 D:25 Seat H:21 Inches.